There are so many problems that can arise when you’re trying to be a successful blogger. Maybe you can’t figure out what you want to write about. You might be suffering from writer’s block. You might get easily distracted while doing your Internet research. Do you plan out your writing to make it easier on you? 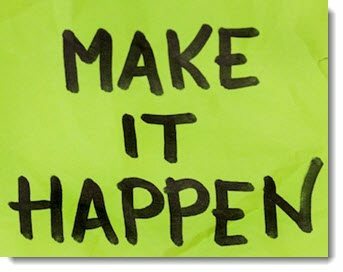 Do you have goals and schedules set for your writing? Do you have some favorite productivity tools that you use? 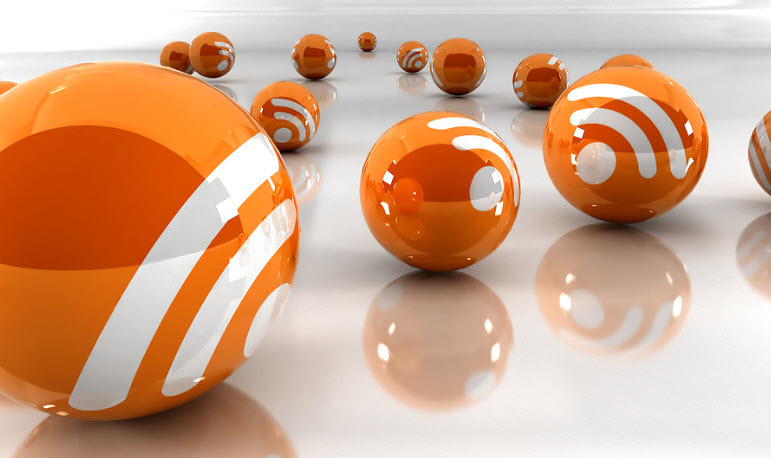 Following are some tips to help you in your journey of becoming a more productive blogger. Have you ever stared at a blank page in your WordPress blog trying to decide what to write? “Blank page syndrome” is one of the biggest causes of loss of productivity when it comes to writing. Writing content is easy when you know what you’re writing about or you have an idea on how to get started. And often getting started is the problem. This is going to sound weird, but the simplest way to get started blogging is to just get started. Open up a blank page and write anything that comes to mind. Steer it towards the topic you need to write about if you can, but you don’t have to. The idea here is to jump-start your thinking process. At some seemingly miraculous point during your writing you’ll have an idea and that idea will blossom and become that article or short story you need to get written. This process is called free writing and has been used for years to fix all manner of writer’s block. The idea behind the inner editor goes well with the idea of free writing. The concept is that when you write, you need to forget spelling errors and grammar mistakes. Don’t even worry about the exact order of the information. When you need to write, you just write. When you are done writing, you edit. Before you found that piece of writing hiding in your mind, you wrote stuff. It may be silly stuff. It may be stuff that makes no sense at all. It doesn’t matter. Save it. Read it again in the future. Something in there triggered an epiphany that saved you from the problem of getting started. That same something or even a different something in the same writing might help again in the future. Maybe you want to write something fresh and new that isn’t in your editorial calendar. Free writes are treasures waiting to be polished. Don’t stop now. Keep writing. Write every single day. Write for a set period of time every day. Writing is like any other skill. You have to keep practicing. You will get better. You’ll find your voice. But if you quit writing, there is a good chance that one day in the near future you’ll be sitting in front of a blank page trying to remember how to get started writing. That goes for writing too. Distractions are probably the second most common cause of productivity problems when you are blogging. They are especially common as you will be sat on your laptop and you need to do some online research for your next post, but the location where you write can be distracting too, if you’re not careful. Twitter, Facebook and LinkedIn can be great places to do some networking as a writer. You can meet other writers. You can find clients if you’re a freelance writer. You can find publishers. Or you can just have a little fun “hanging out” with your Internet buddies. But when you are supposed to be writing, you need to stay away from these places. It’s also a good idea to turn off notifications on your mobile phone too. I have only found one use for social media sites when I’m in the process of writing: asking questions. Maybe you need that one little suggestion to get the ideas flowing. Social media sites are great places to ask those questions. But once you ask that question, it’s time to leave. Don’t just sit there waiting for answers. Go write something else. Only check every once in a while. E-mail is a wonderful tool for communicating with others but it is also a time sink that can destroy your productivity. It can be as bad as social media and sometimes it can be much worse. Make sure to schedule an hour or so per day to deal with e-mail. If it takes you more time than that, you might want to look into unsubscribing from a lot of services or hiring someone to help. The key to keeping e-mail from being a distraction is to get the e-mails out of your inbox quickly. 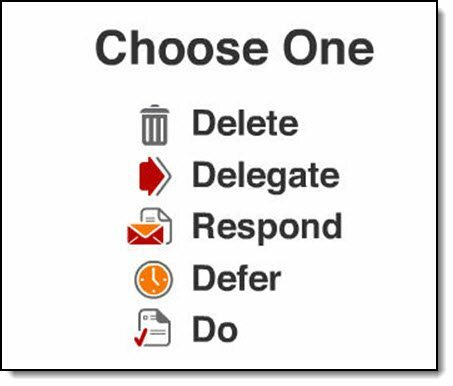 A simple way to do that is to take a tip from masters of getting things done. Create three folders called Follow-Up, Waiting and Hold. Anything in your inbox that needs to be answered or dealt with goes into the Follow-Up folder. Anything that is waiting for a response or action from someone else goes into Waiting. E-mails that contain information you’ll need soon go into Hold. Anything else can just be archived or deleted immediately make sure you’re using an e-mail service with a great spam filter. You can also try using another system such as inbox zero which a lot of people find works for them. You need to pick a location to write that has the least amount of distractions possible. Don’t write in the living room if the family is watching television. Don’t write at a coffee house unless you have a way to keep your surroundings from distracting you. Music is a great way to drown out the distractions as long as you have a selection of music that doesn’t actually add to the distractions. This is probably unique to me. I was working one day at my desk in my attic and I found the rain bouncing off the roof a soothing sound. I then actually found a website that plays the sound of rain a few months ago and often listen to it when I need to give something my complete focus. So find what works for you and stick to it. Once you have your idea, it is time to plan. You need to spend a few minutes getting an outline done. The outline, in this case, does not even need to follow any specific rules. The concept of an outline before writing it is breaking up the writing into smaller chunks that are easier to write. For example, if you want to write a 2000 word article on shopping tips for the holidays, you might start with a list of five major topics you want to cover. Then you would take each topic and come up with more specific topics that fall under each one. Instead of writing a 2000 word article, you are now writing a 100 word introduction, a 100 word conclusion and five smaller articles that are less than 400 words each. Planning may not sound like much, and it’s not. It doesn’t take much time at all. However, it makes the process of writing so much easier. Remember that at the beginning you learned that finding a topic or idea is the hardest part of writing. An outline provides several topics and ideas and makes it simple to just write until the project is done. And don’t worry if you don’t hit the word count you planned out. Sometimes you will write more about a subtopic and sometimes you will write less. It tends to even out over the entire project. Blogging is a job just like any other. You need to set your own deadlines but the time of day and exact hours you write are all up to you. You absolutely must set a schedule. Pick a specific time of the day to work and don’t let anything get in the way of that schedule. Act like you are working at a normal job. Would your boss be happy if you decided to watch a television show while at work? You are your own boss, so you shouldn’t be happy if you watch another episode of that show on Netflix during work hours. The beauty of being a writer with only a deadline is that you get to pick your own hours. Are you a night owl? Do you stay awake from midnight to six in the morning? Make those your writing hours. Are you more comfortable writing in your pajamas when you first get up in the morning? As long as your writing does not need to be done in an office environment, feel free. The important part is picking a schedule and sticking to it. Make it a routine. Goals are just as important as schedules. A schedule tells you when you are going to do the work. Goals let you know how much work needs to be done in the time available. Do you need to publish five or six 1500 word articles per week? Then that is a goal. Pick your goals and stick to them. You need to stick to our goals and schedule. However, you also need to be reasonable with those goals and schedules. If you find you can’t write six articles per week, then you either need to look at adjusting your goals or schedule. Decide which is more important: the goal or the schedule, and then modify to fit. Remember the free writes? Evernote would be a great place to store those. 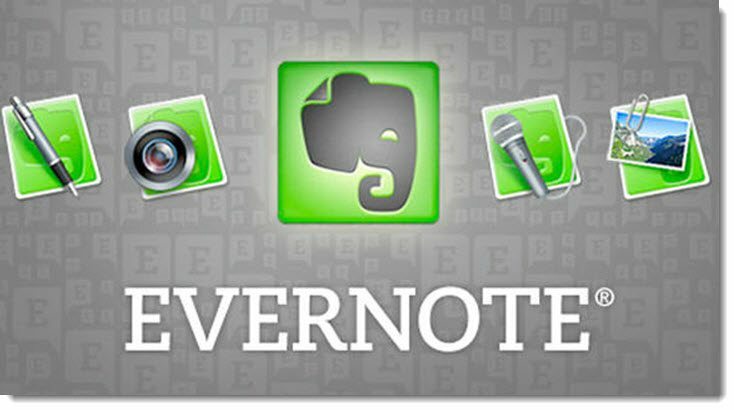 With Evernote you can clip just about anything you see online or even your mobile phone and store it in a searchable and taggable environment. Store your free writes. Create a notebook for each project and clip pieces of research into the project it goes with. Evernote is an excellent tool for organizing any kind of information. When you are doing your research, you really shouldn’t be without it. If you’re interested in learning more about Evernote you should check out this post on using Evernote to be a more productive blogger. Everyone does it. They’re researching an article and they see a link to something on Facebook. They follow that link and suddenly they’ve spent two hours just browsing through Facebook and Twitter and now you’ve wasted half of your scheduled writing time. Stayfocusd is a Chrome plugin. Avoiding those distractions is so much easier when you have a tool that won’t even let you go to those distractions in the first place. You can set a specific amount of time you are allowed to visit a certain site each day and when that time is used up, Stayfocusd blocks you from going there. It’s brilliant and it’s free. Trello is another place to store information. It is amazing for organizing projects such as major articles. 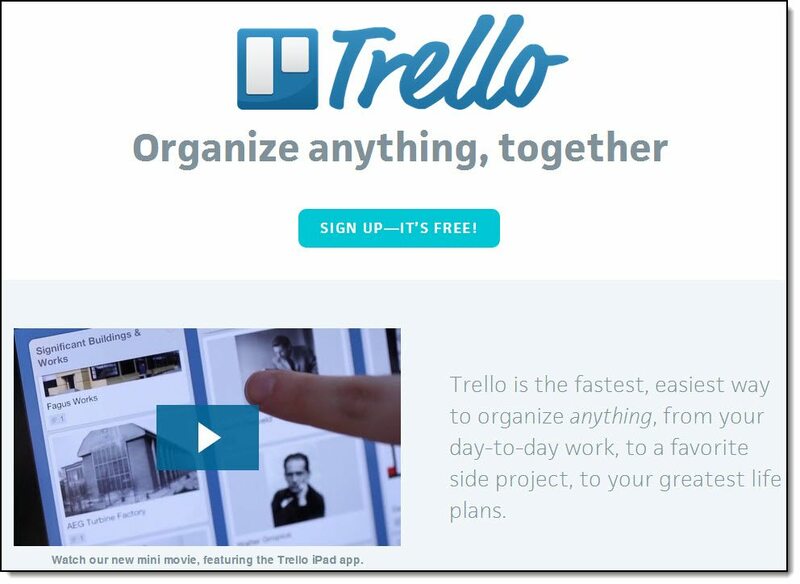 And the part that makes Trello stand out is the fact that you can have other people working on Trello with you. Collaborations are so much easier to do when everyone involved is seeing the progress of the project and able to add their own spin on the project in real time. Imagine having an article and a video that need to be done. You’re writing the article and someone else is providing the video. If you both set up the project on Trello, he can see what you are doing with the writing and adjust the video to fit better while you can adjust the writing to fit his progress on the video. Write. Avoid distractions. Plan. Set goals and schedules. Use productivity tools. Those are five ways to stay productive while writing. There are probably many more. Feel free to use these ideas and tips to make your own system of productivity. Maybe only one of these ideas works for you but you have ways to tweak the others to work for you too. You can do that. It’s your writing time. Find the way to make it work best for you. No two people are the same, and that includes their productivity. Guest author: Adam Clarke writes for Start Blogging Online a website where new bloggers can start their journey. Want to learn how to make your blog a success with social media marketing? I also reveal the tactics I used to grow my Twitter followers to over 200,000.